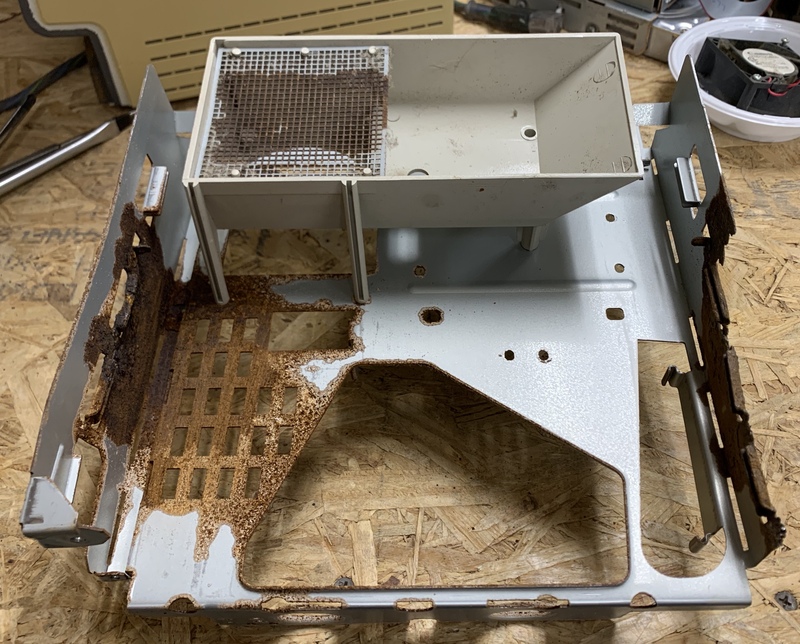 I am looking to buy the inner metal frame that houses the hard drive, floppy drive and fan for a Macintosh Classic. I have attached a picture of my rusted one. If you have one for sale, I'm interested. Can pay by PayPal.